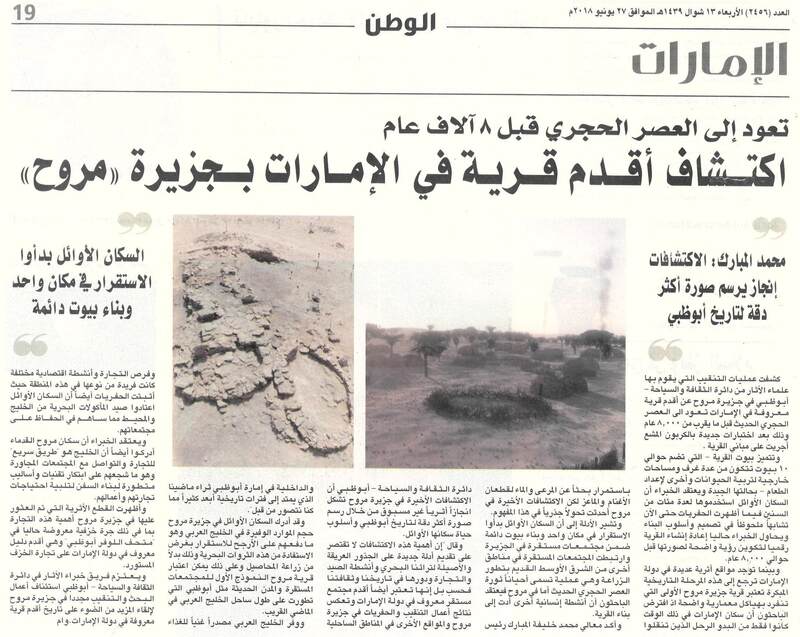 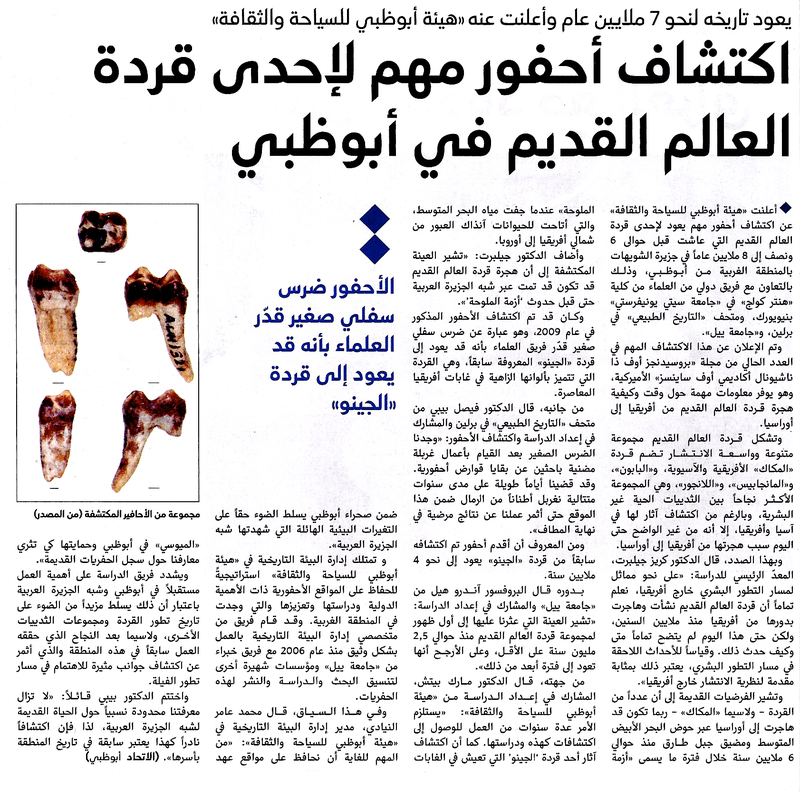 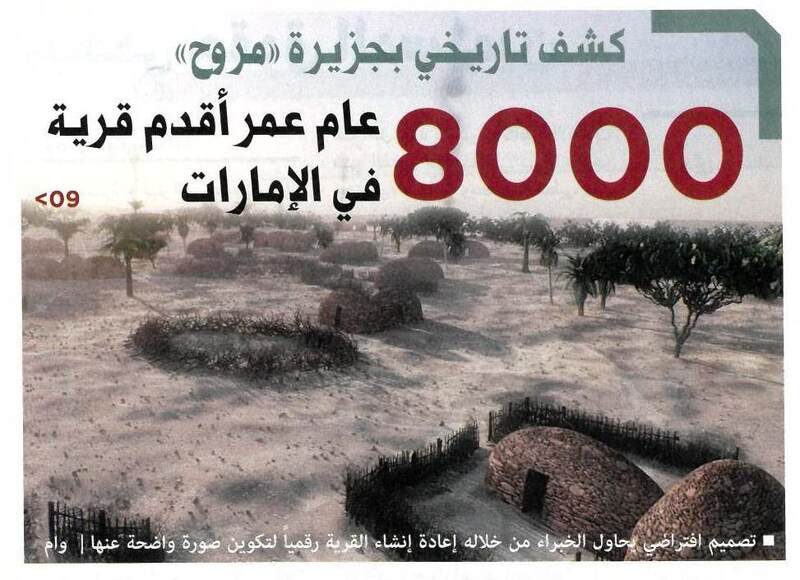 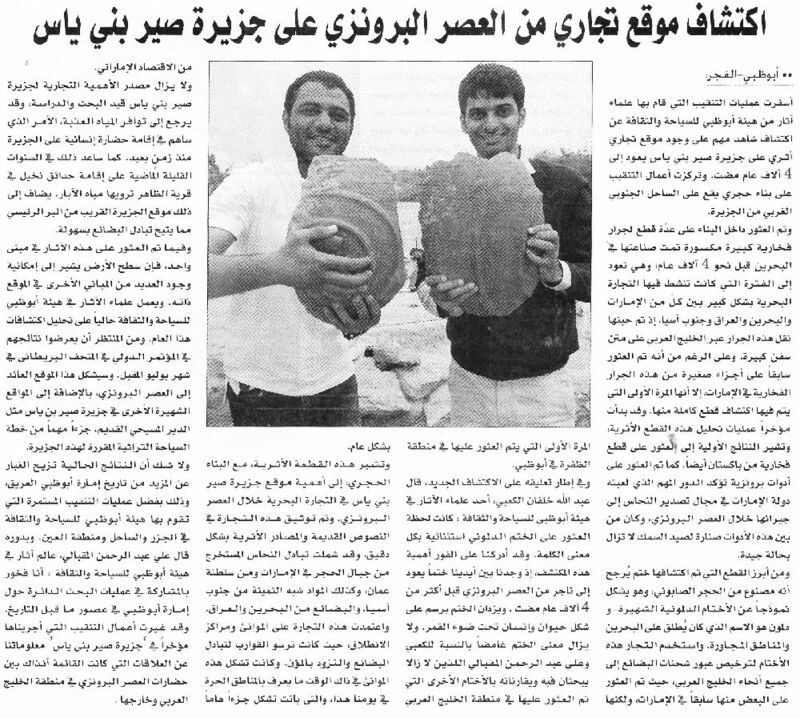 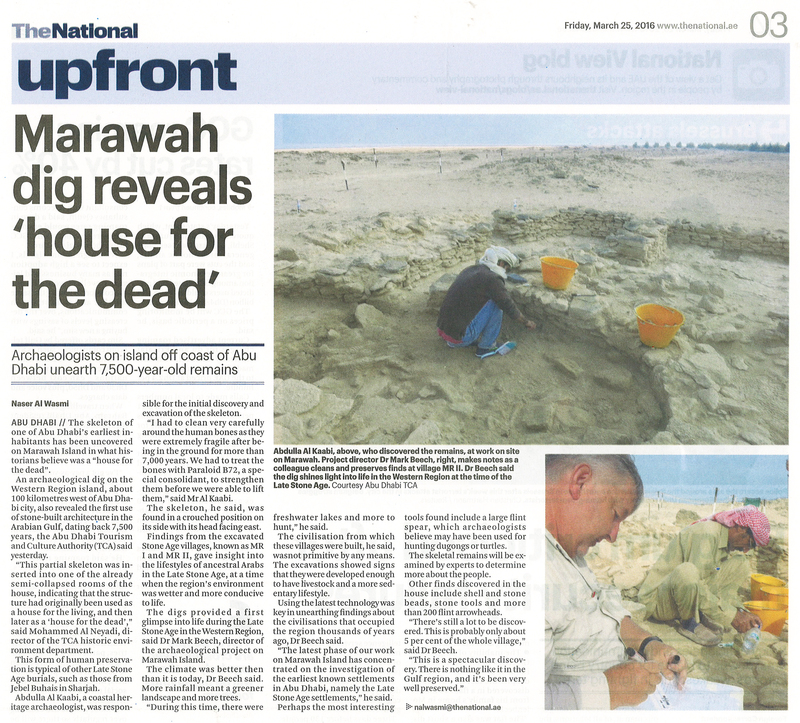 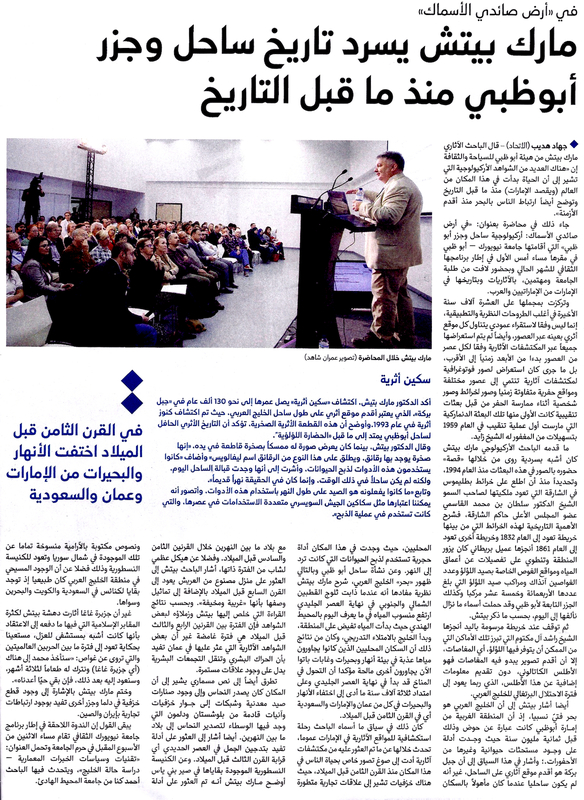 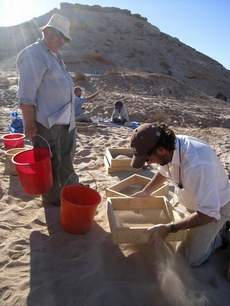 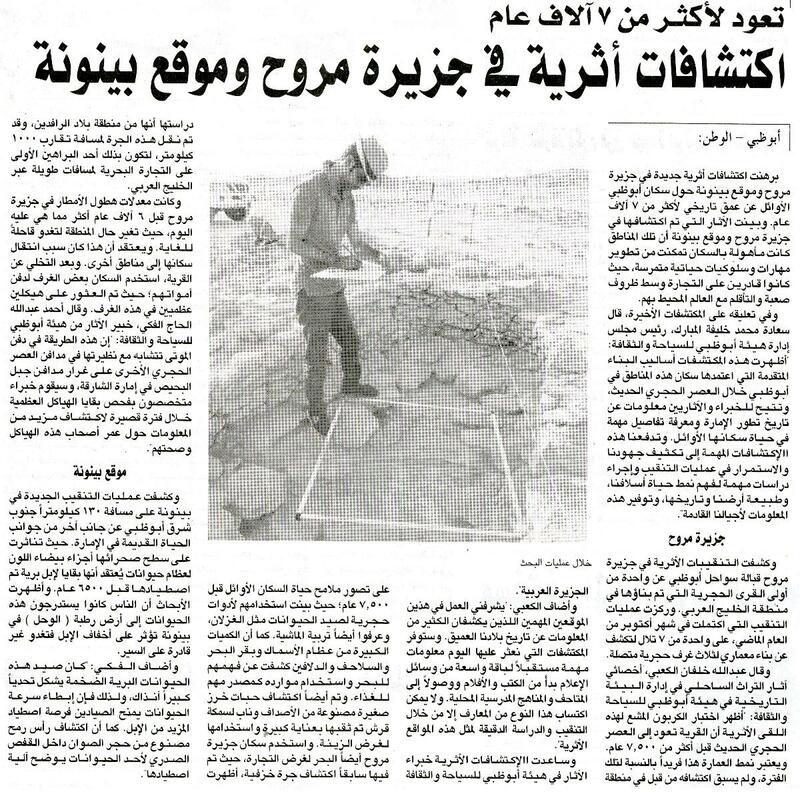 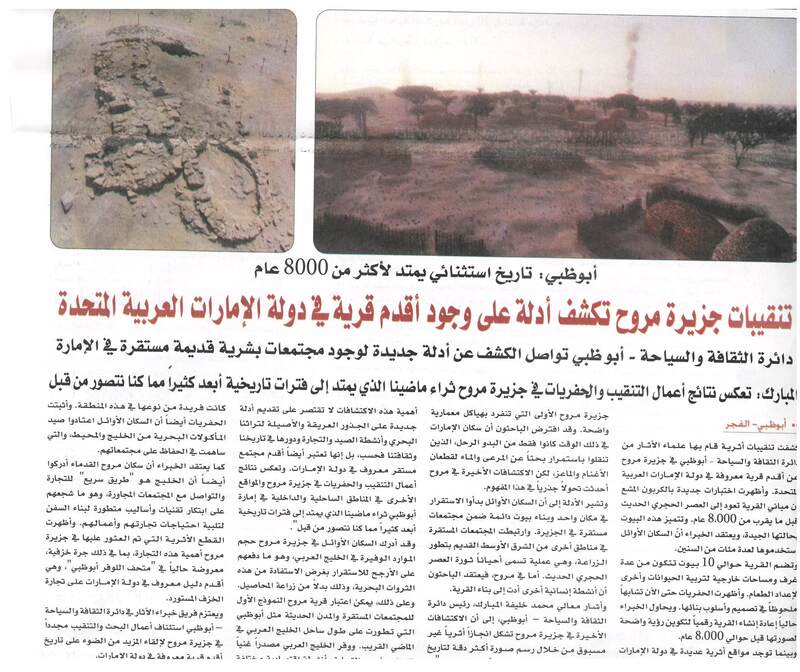 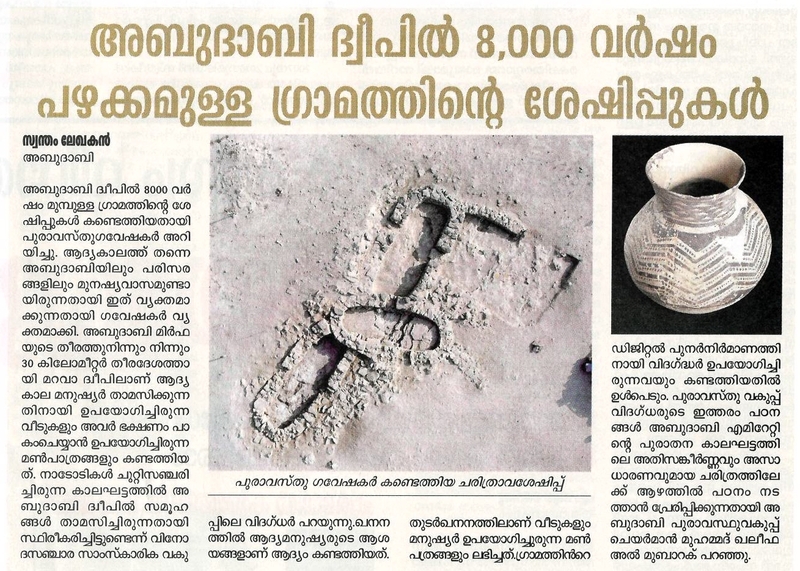 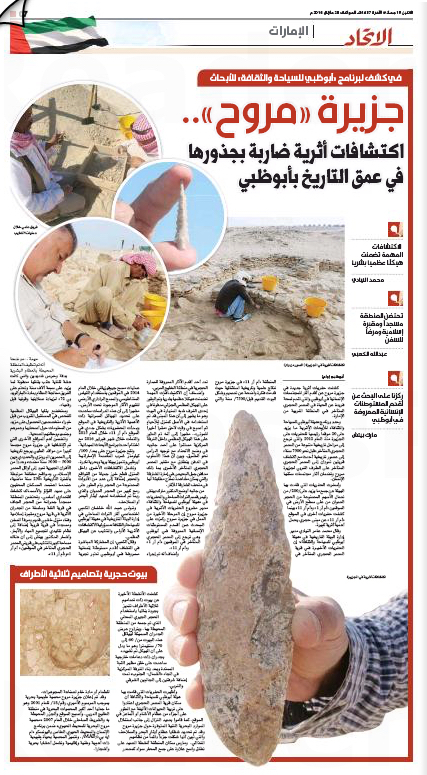 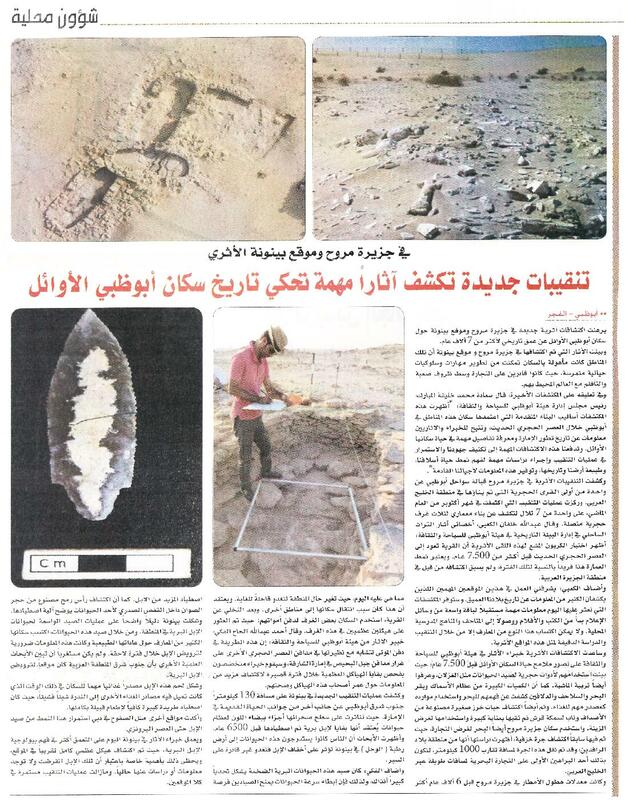 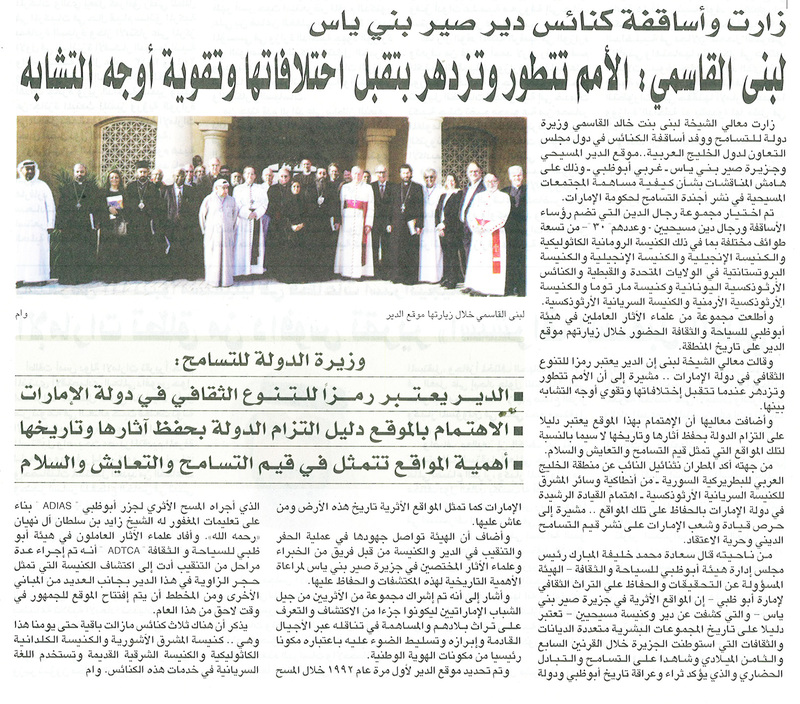 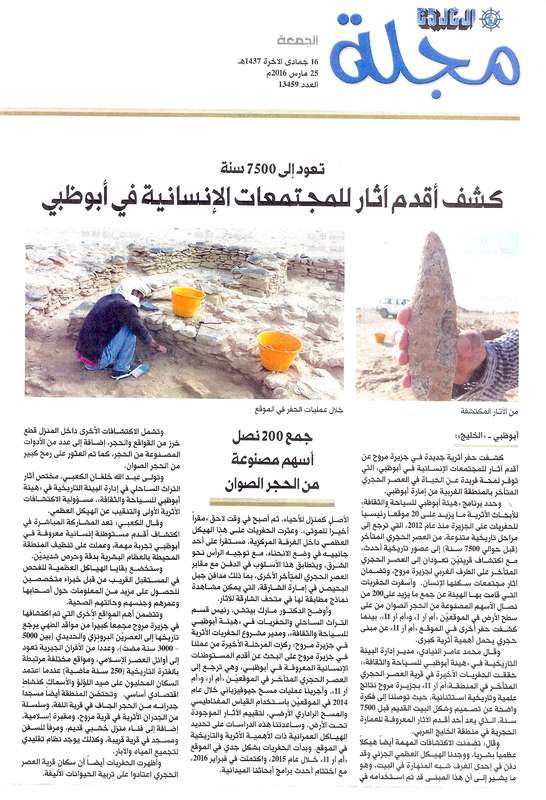 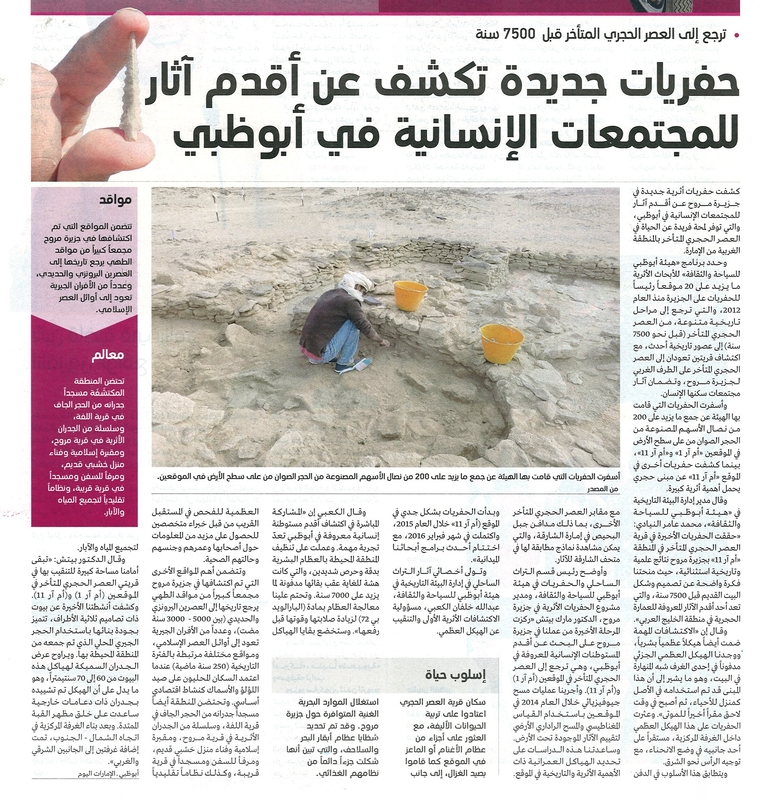 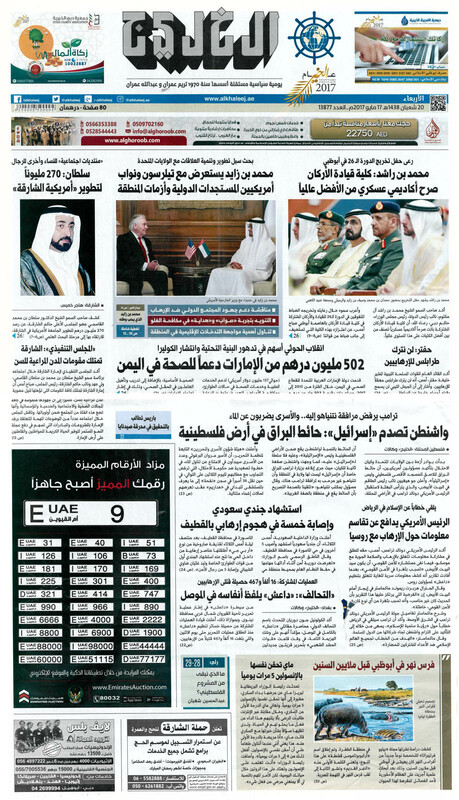 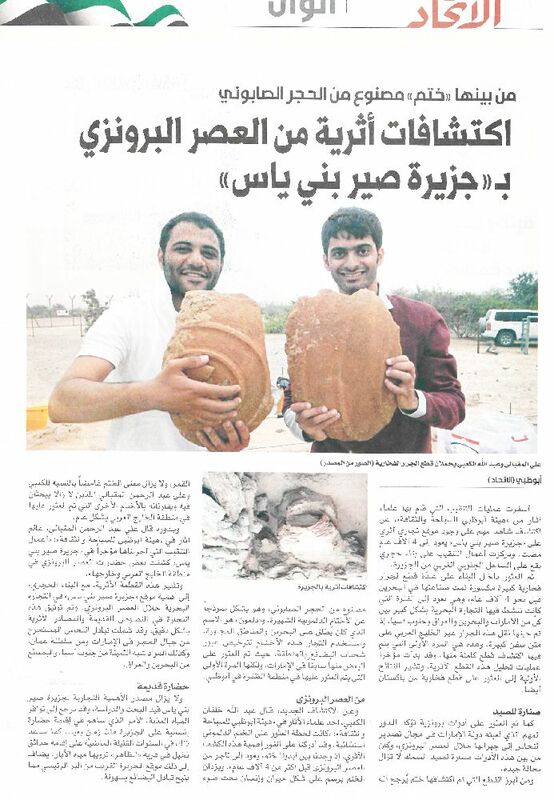 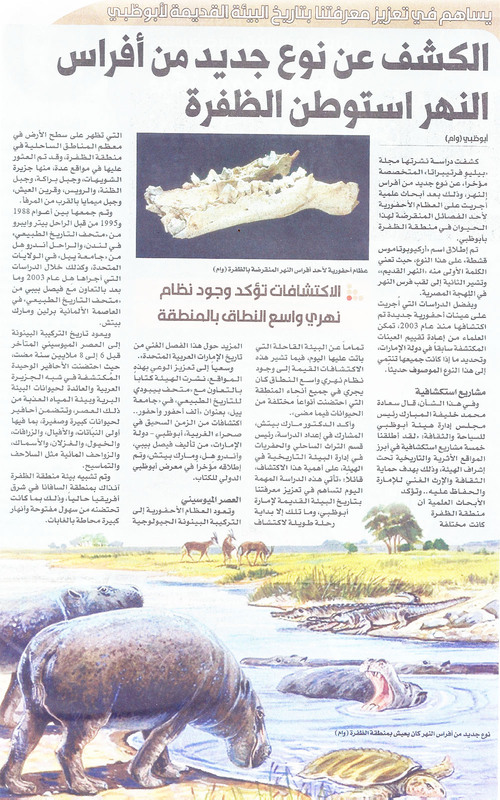 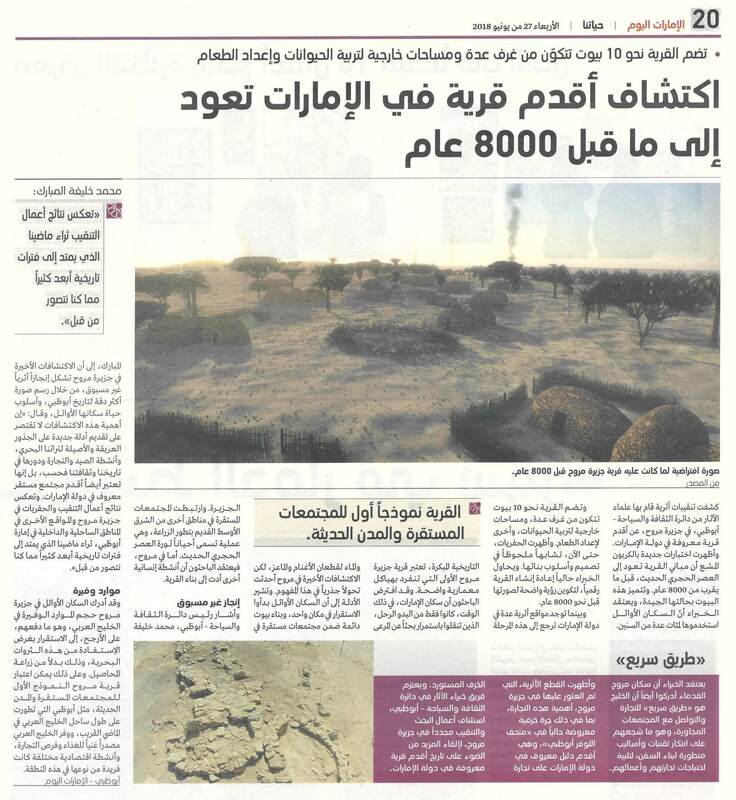 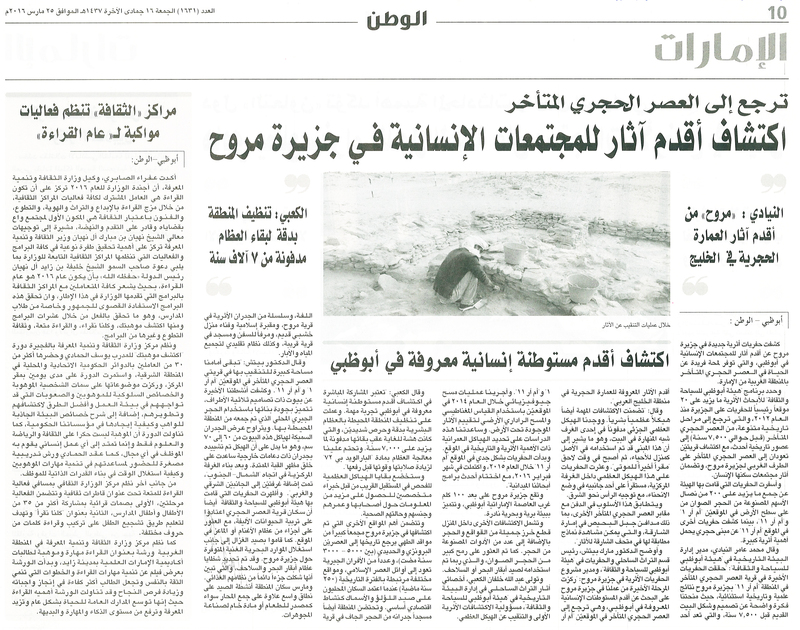 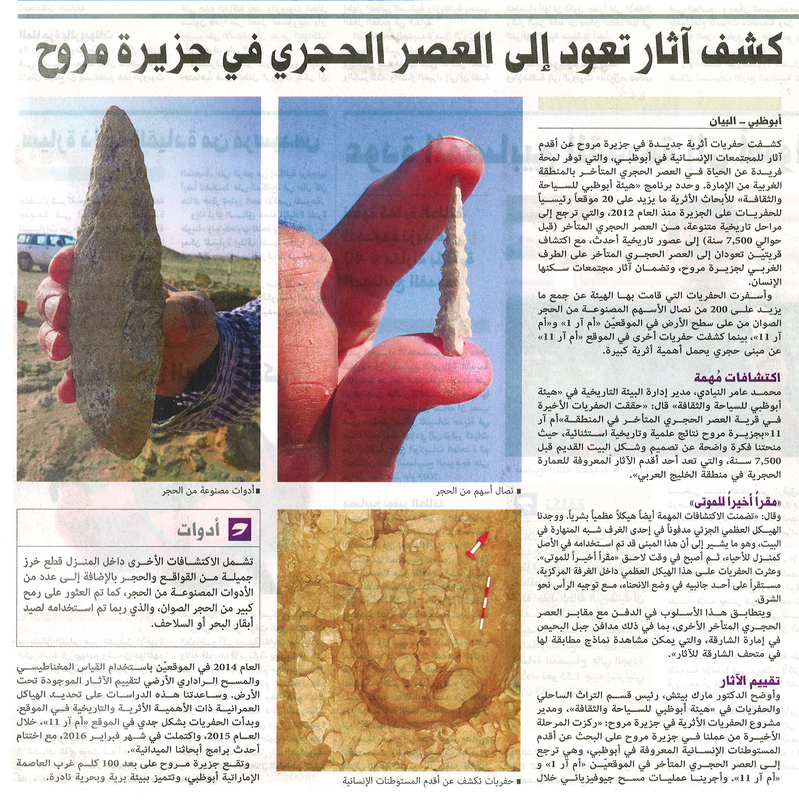 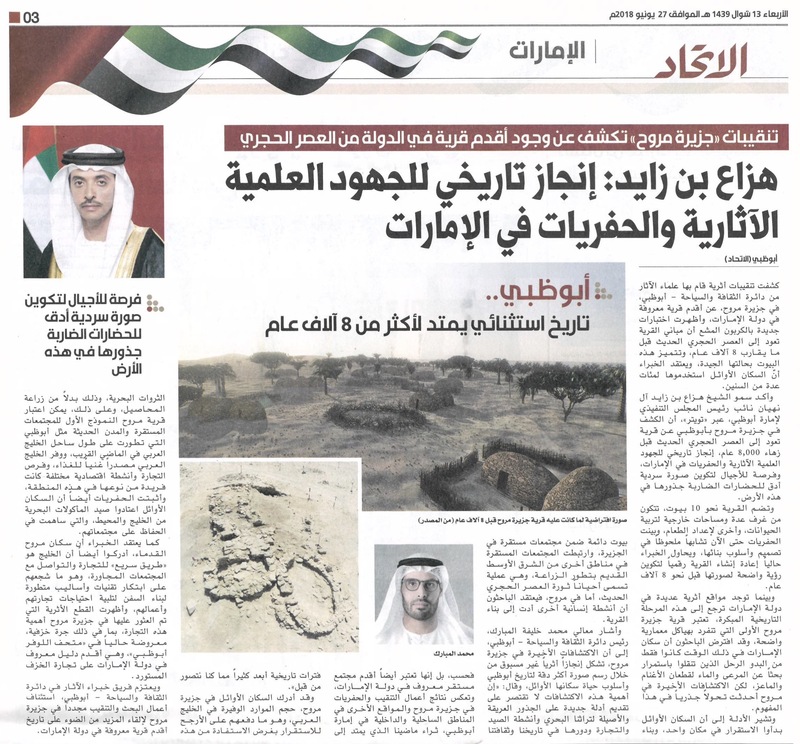 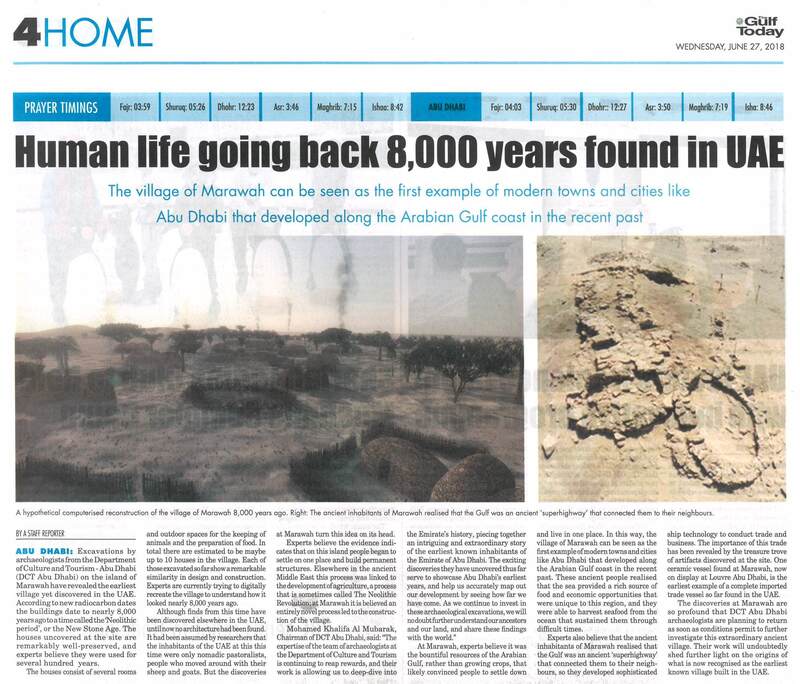 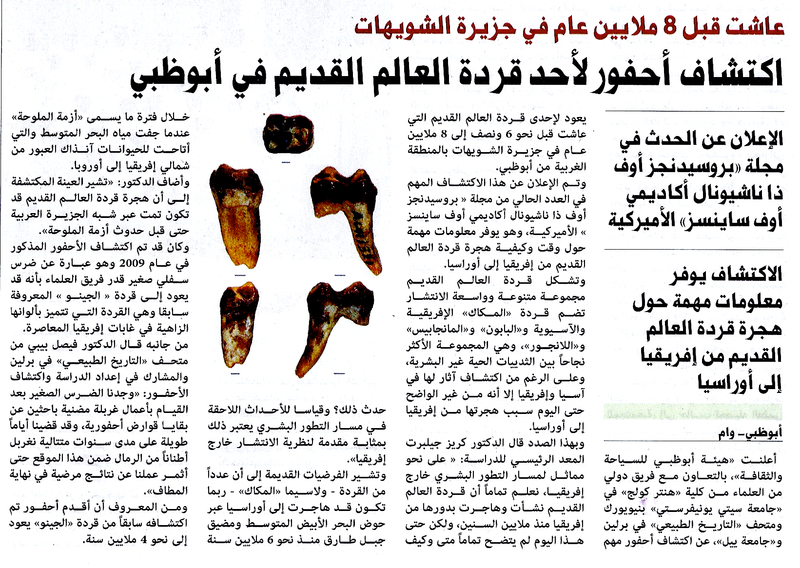 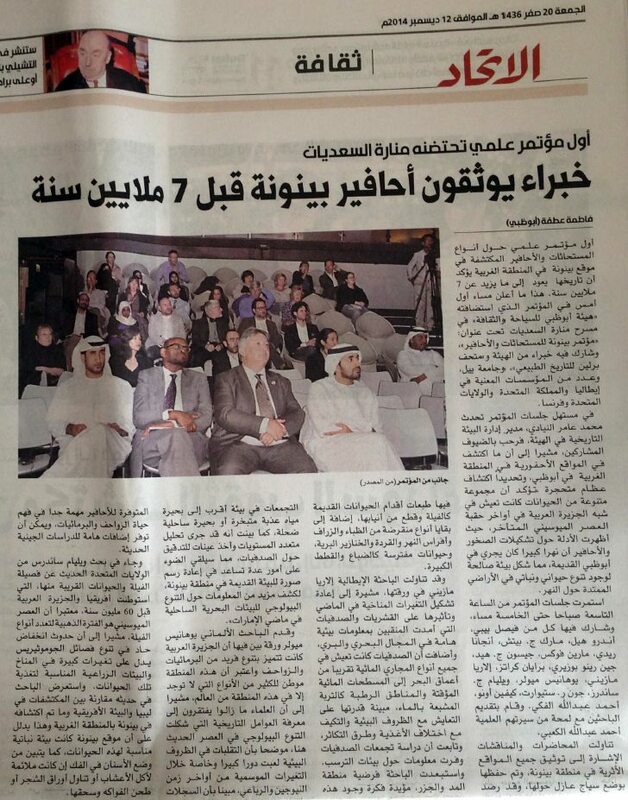 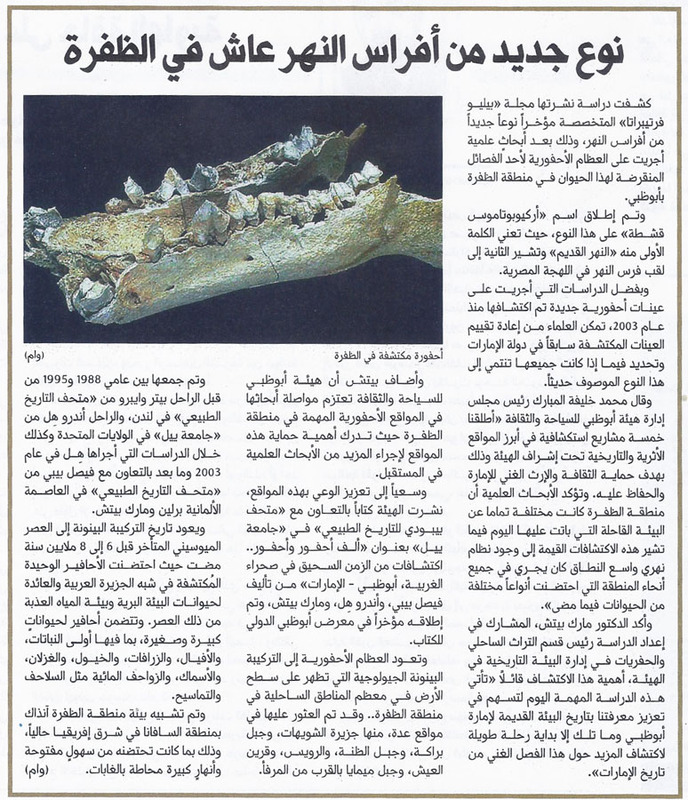 Third Neolithic Conference to promote and develop archaeology in Kuwait, Gulf area. 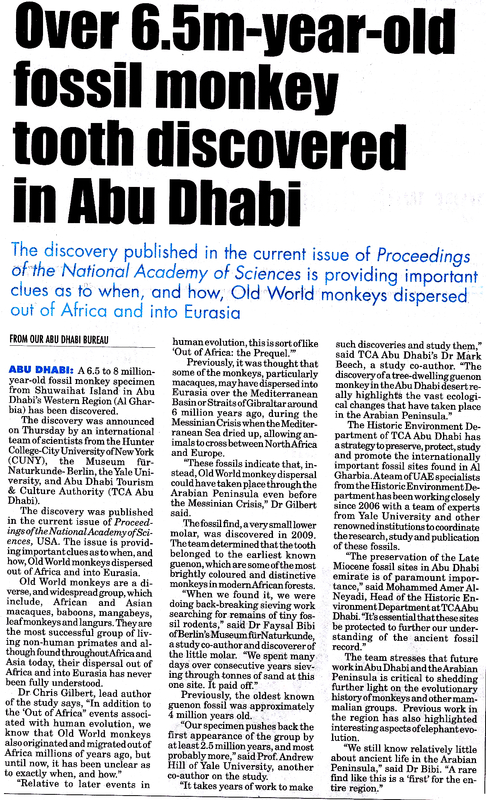 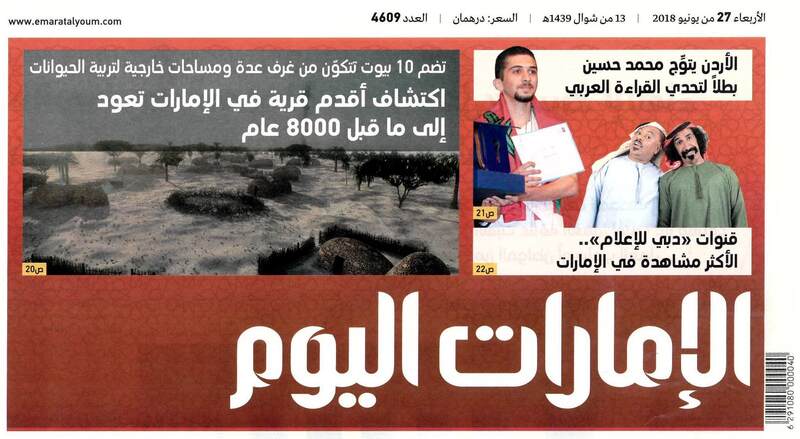 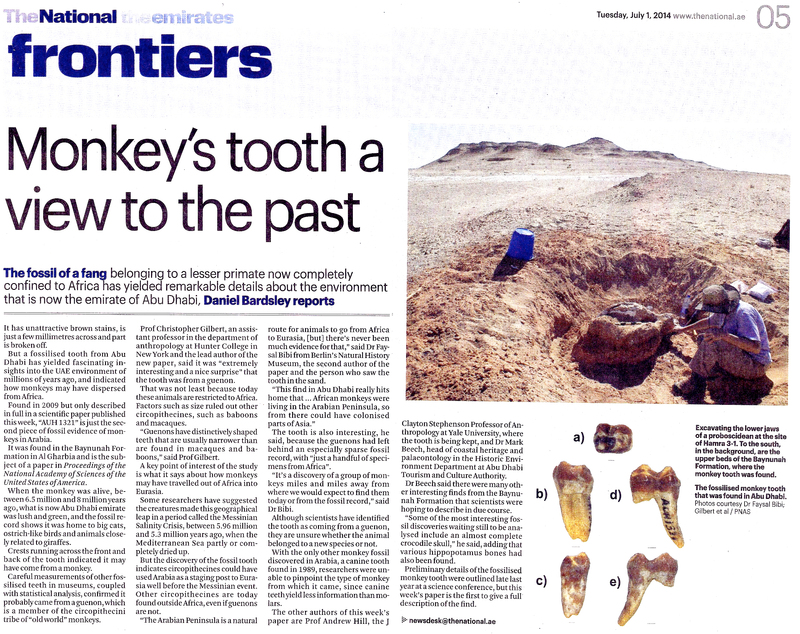 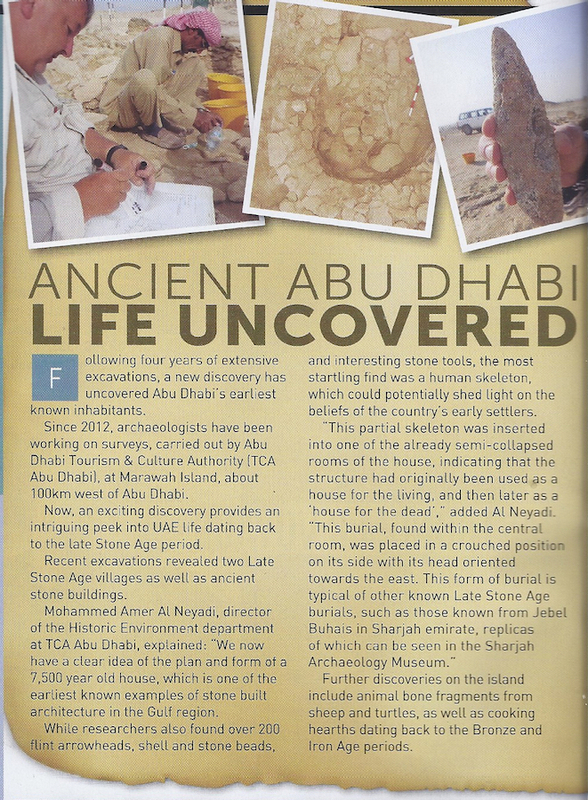 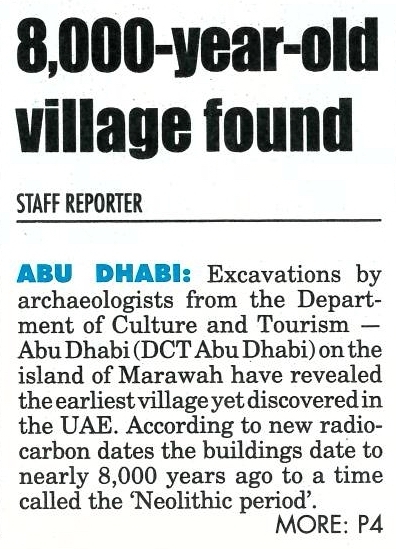 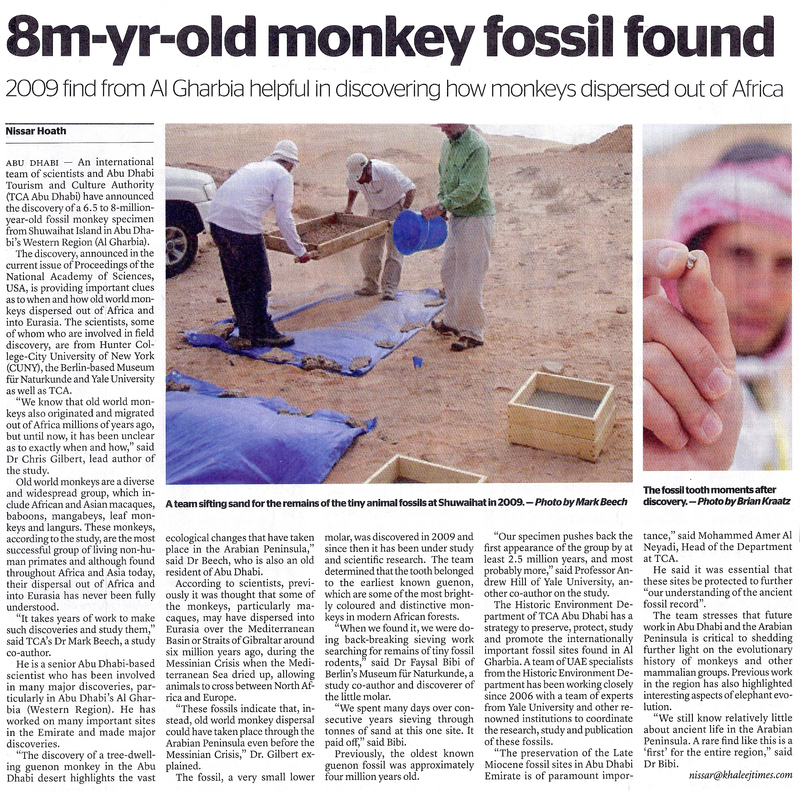 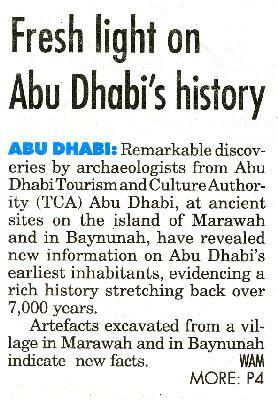 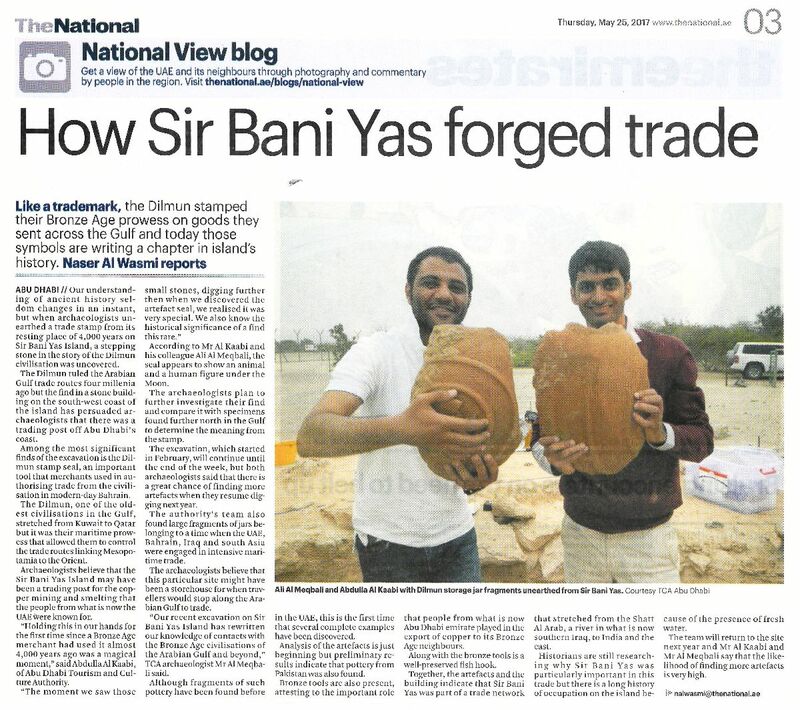 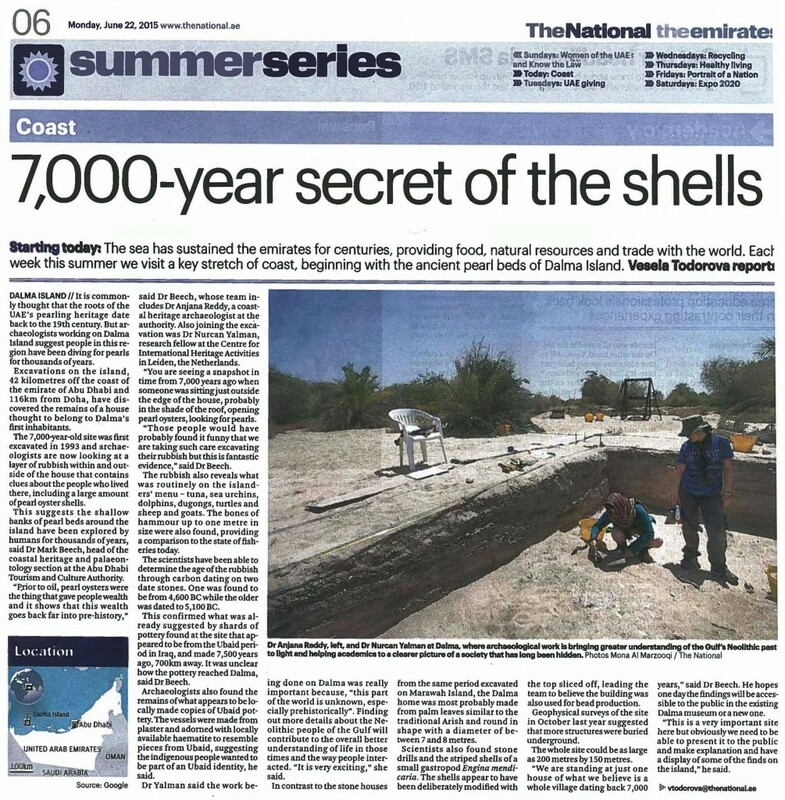 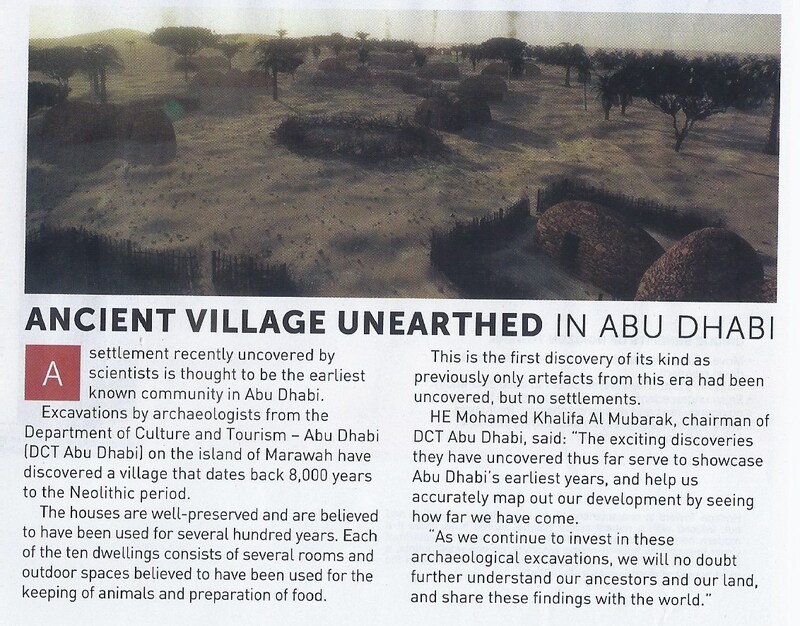 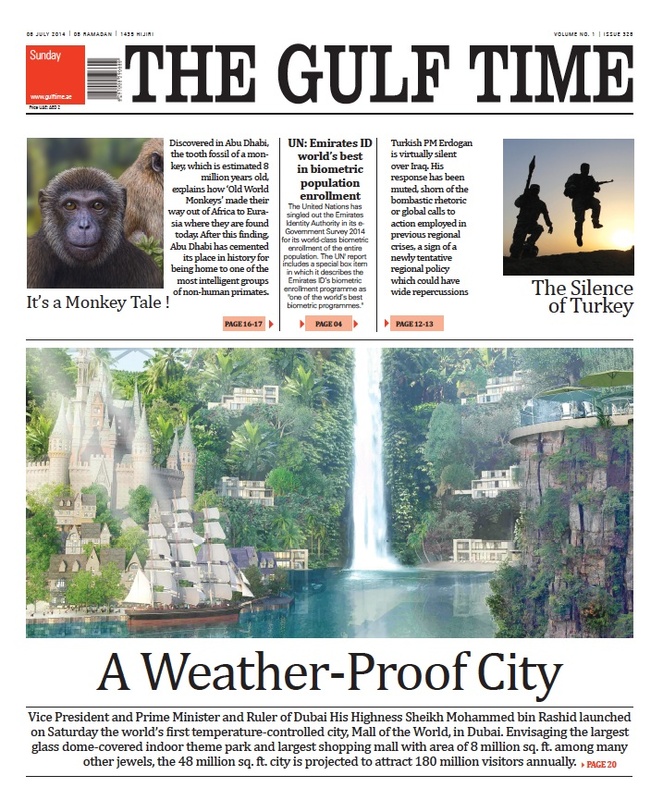 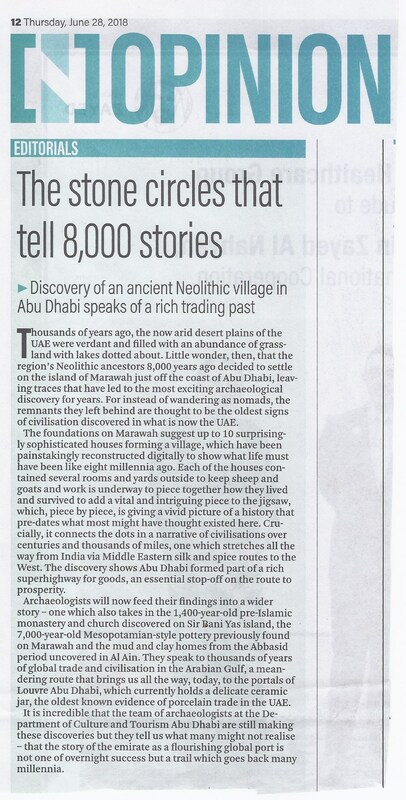 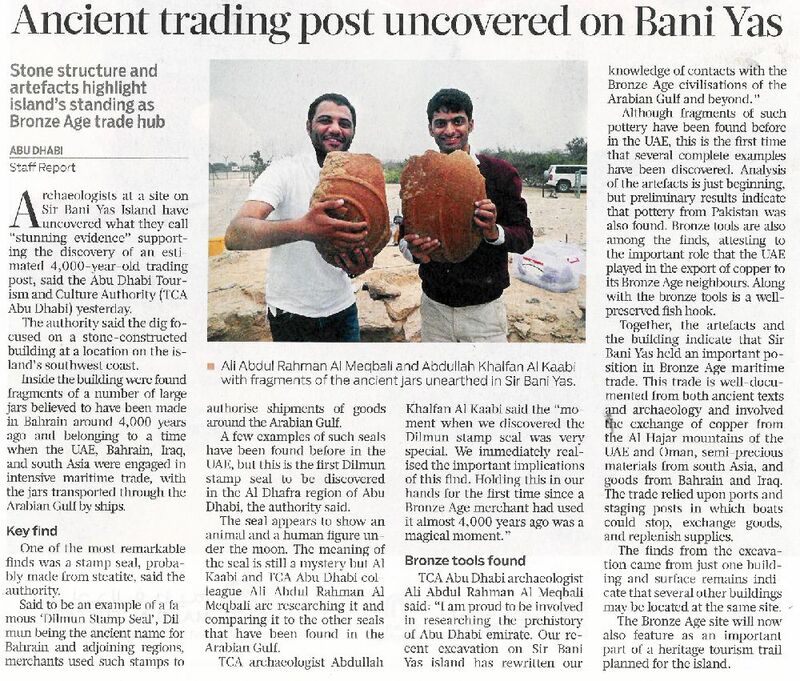 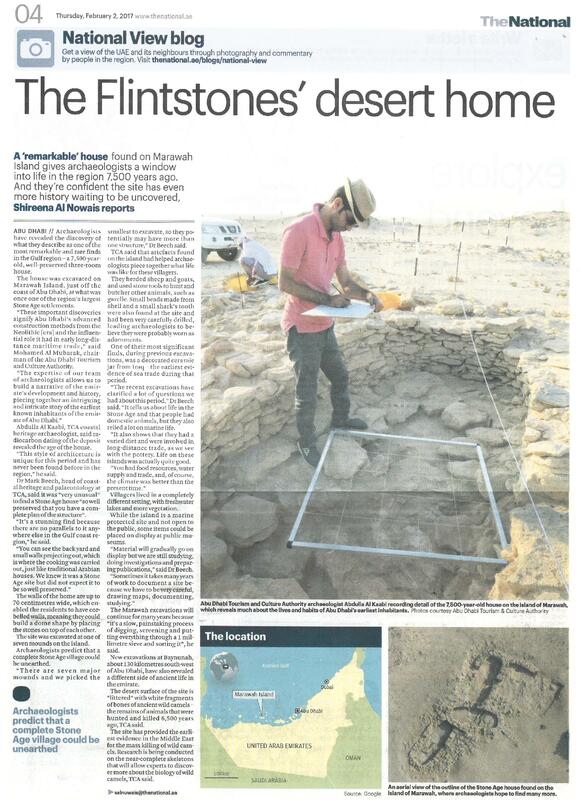 Is this the most groundbreaking discovery in Abu Dhabi? 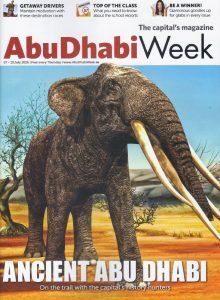 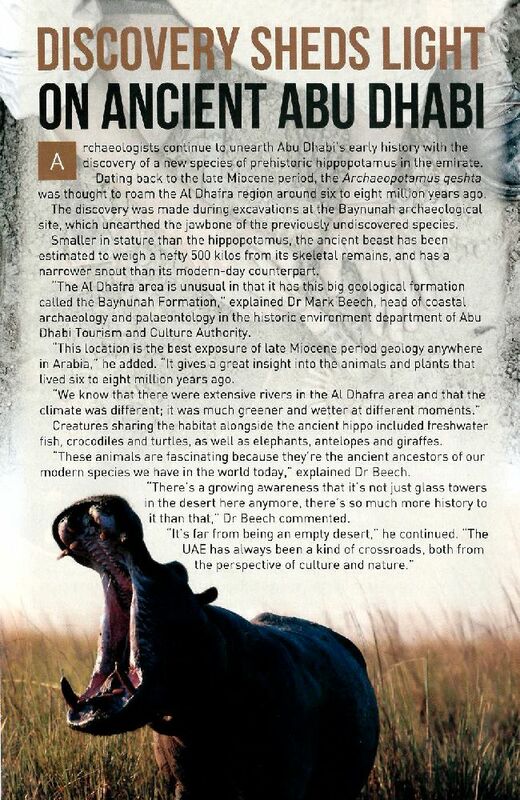 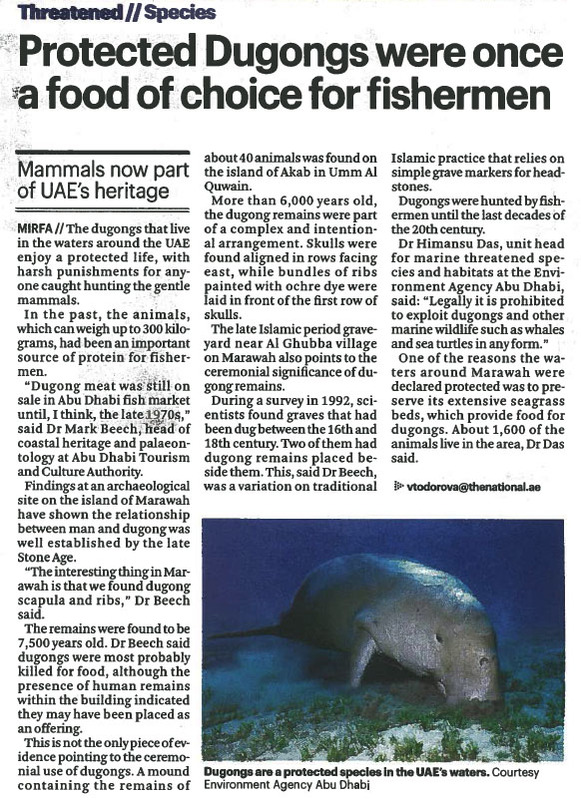 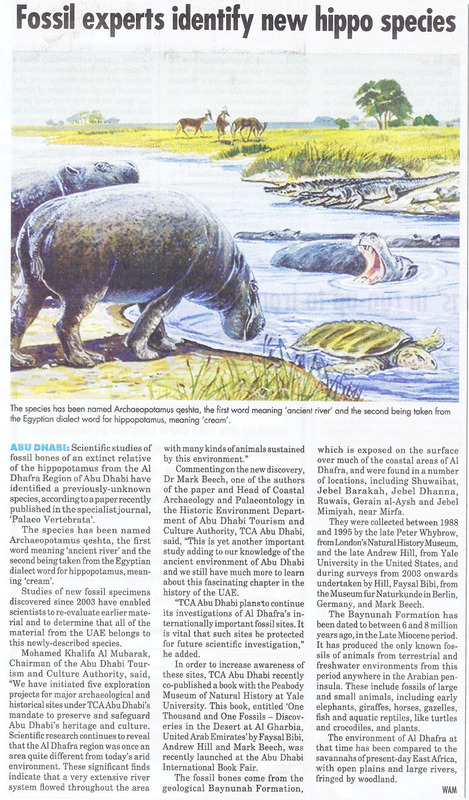 Fossil of hippo relative found in Abu Dhabi. 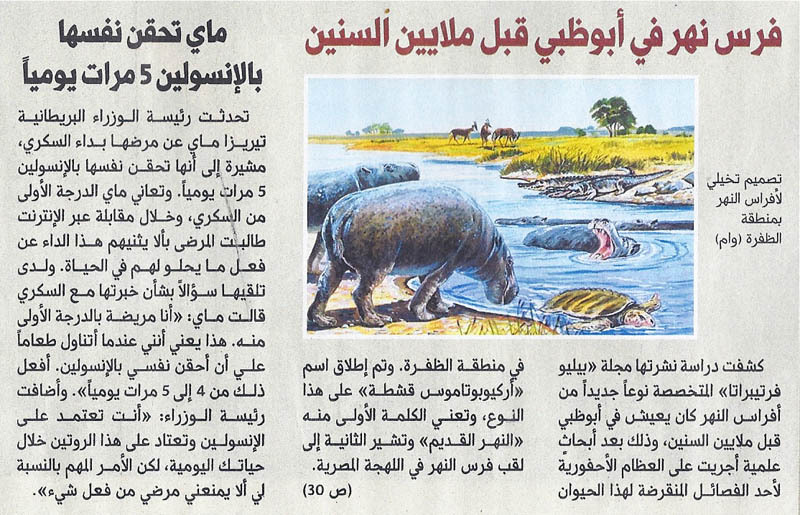 Previously unknown species of hippopotamus. 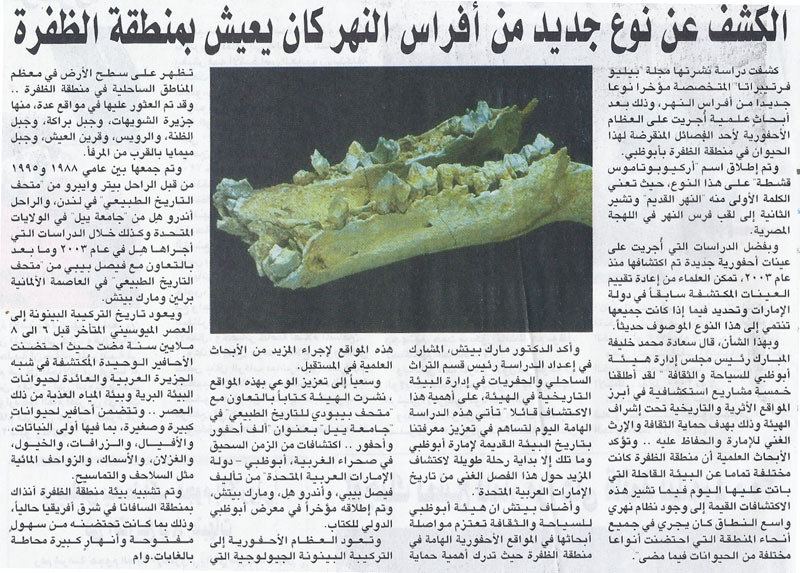 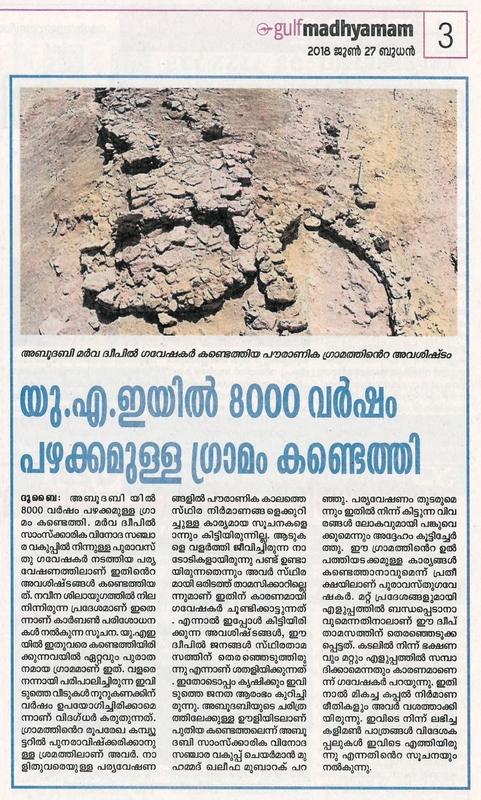 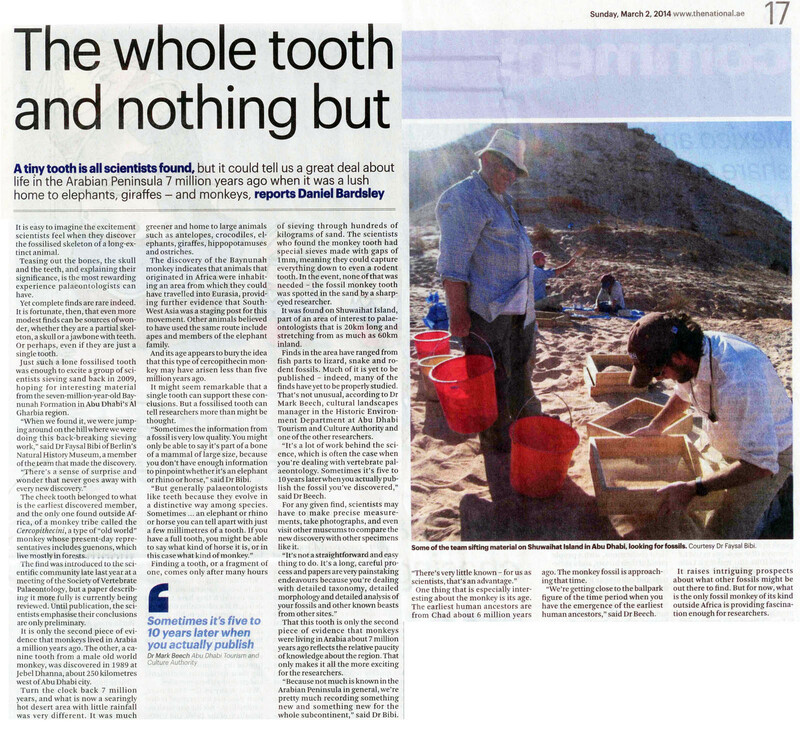 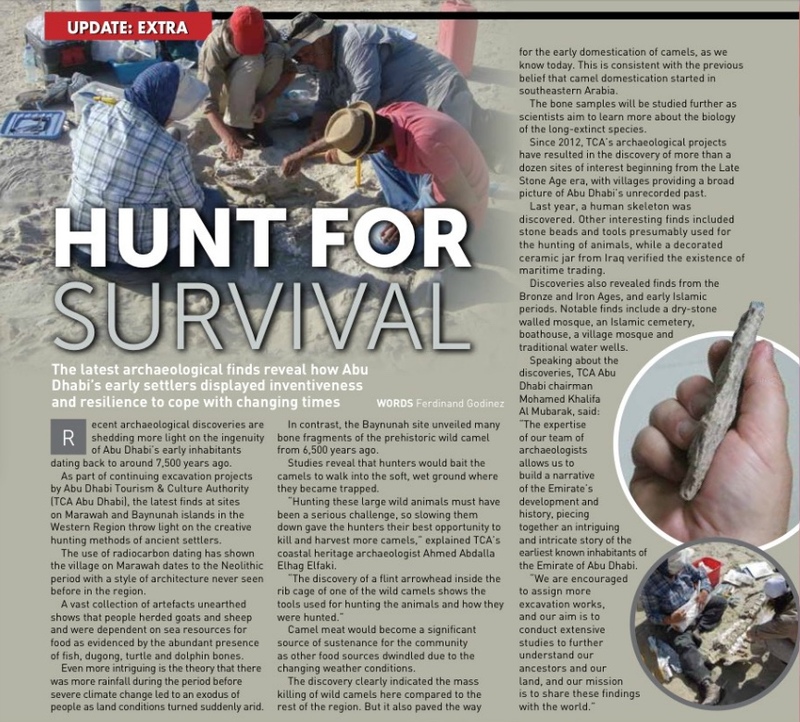 TCA Abu Dhabi fossil experts identify new species of hippo. 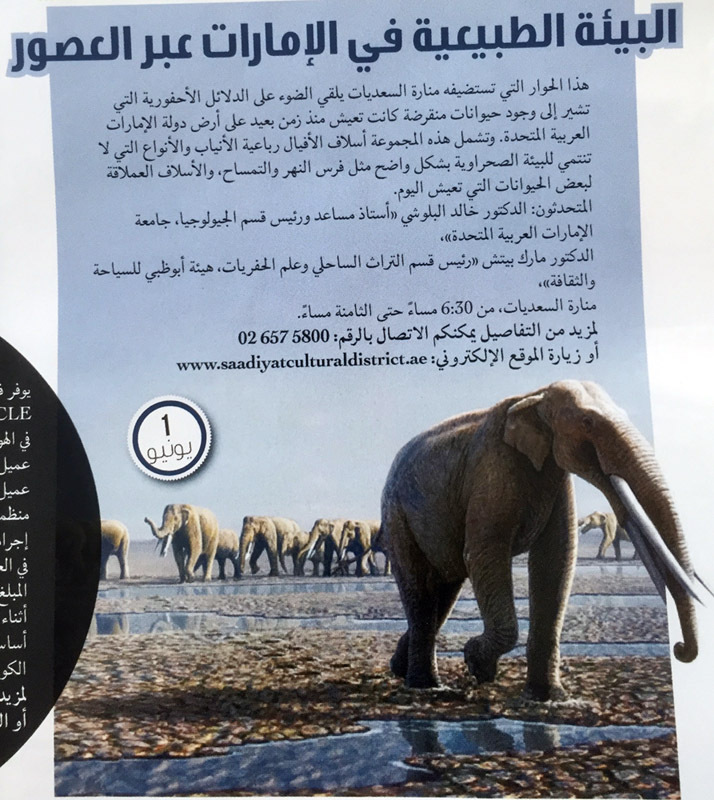 تقرير/اكتشافات أثرية جديدة في جزيرة مروح وموقع بينونة تحكي تاريخ سكان أبوظبي الأوائل. 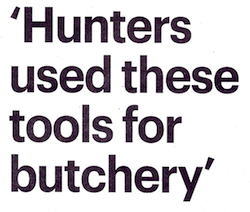 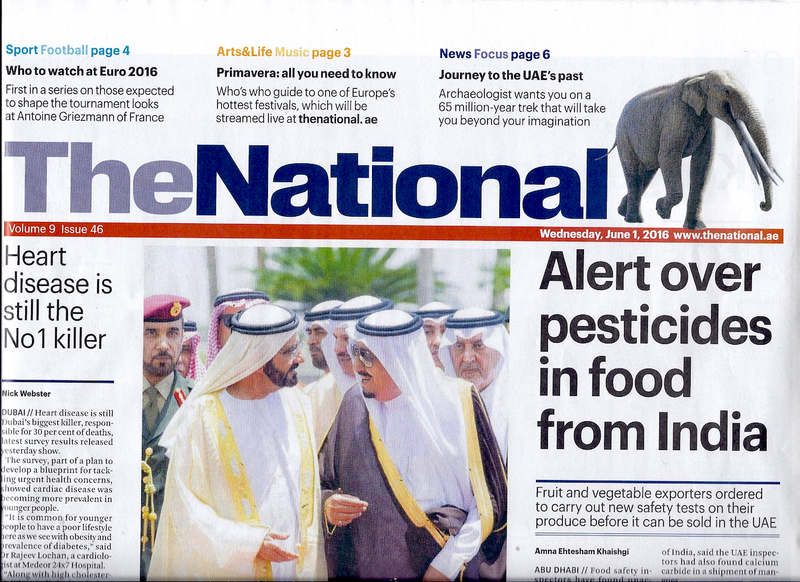 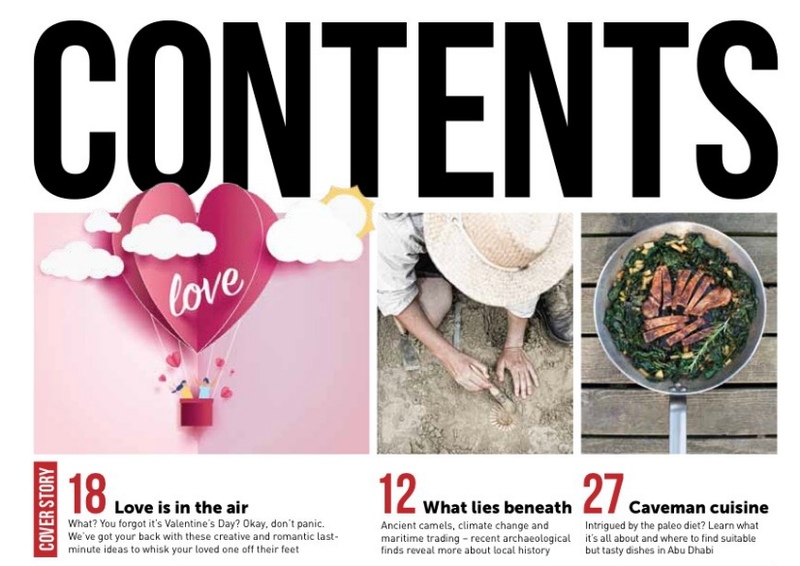 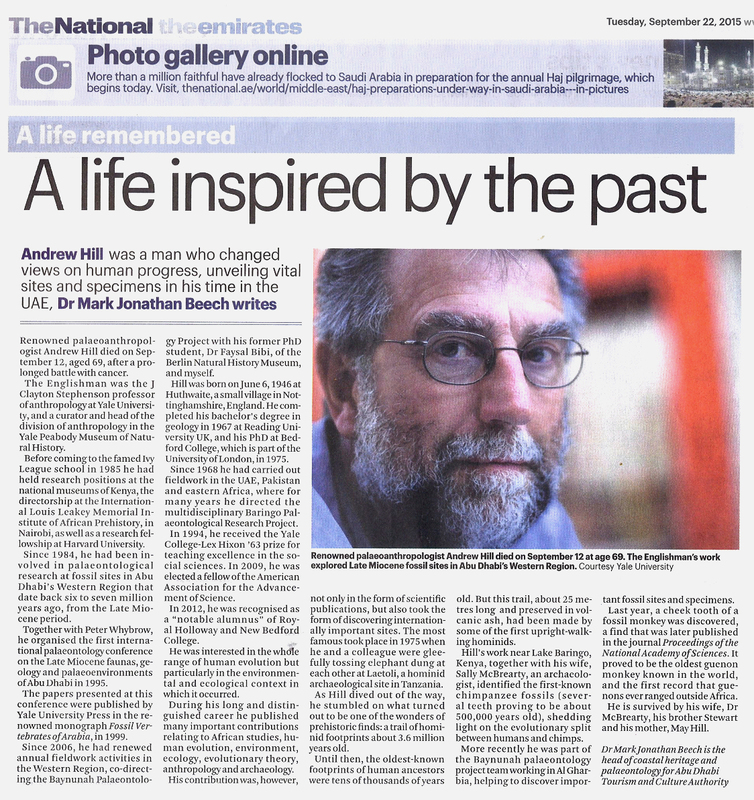 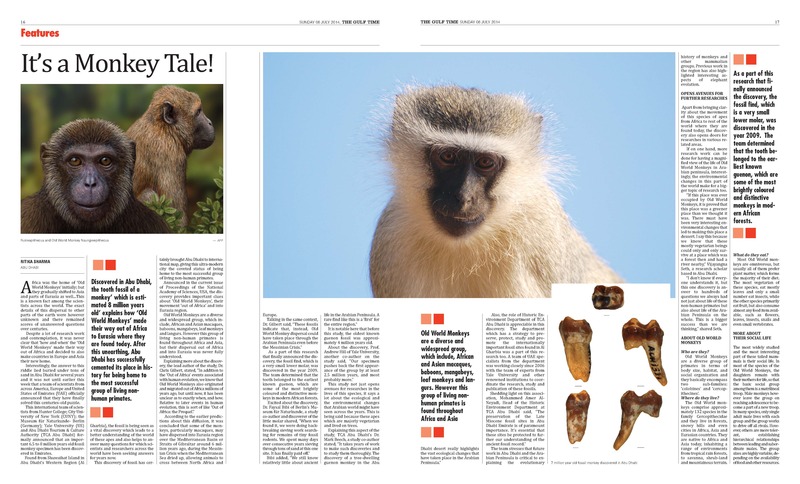 We made it onto the front page of The National! 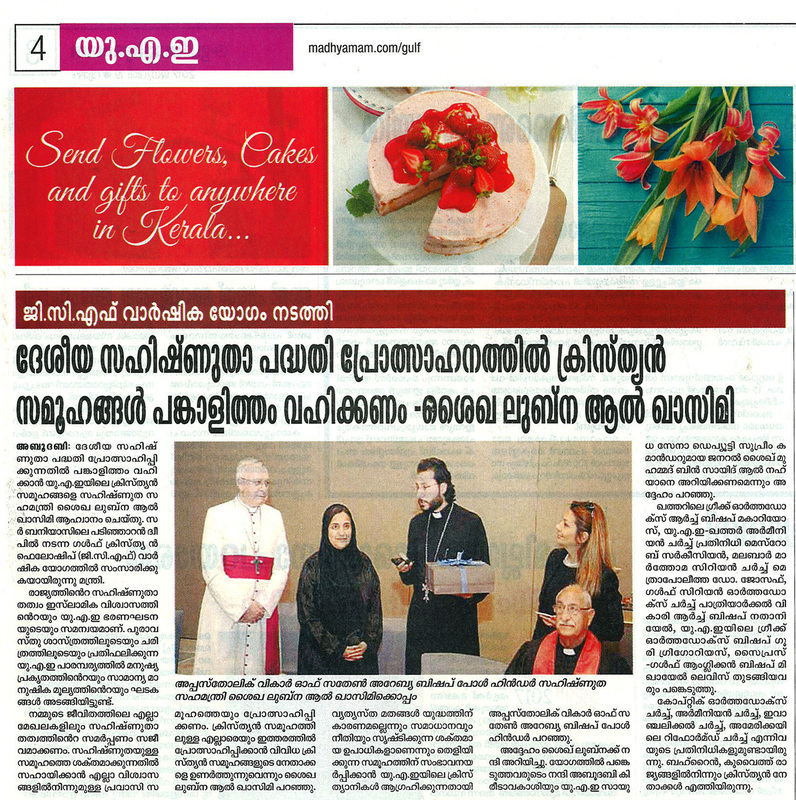 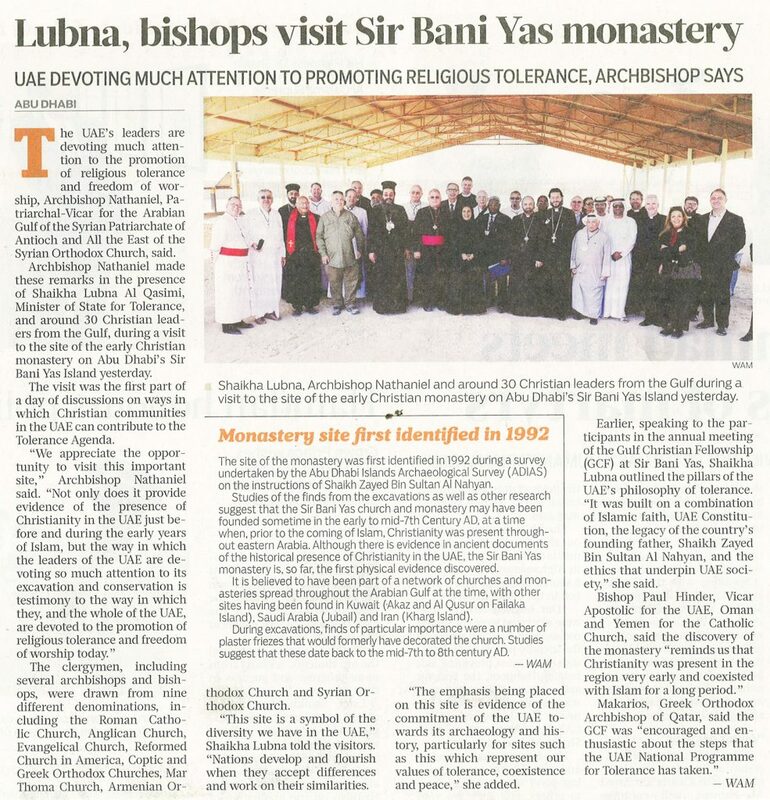 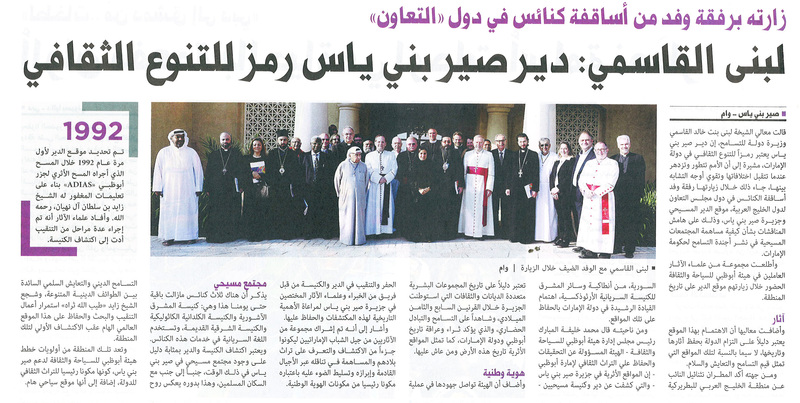 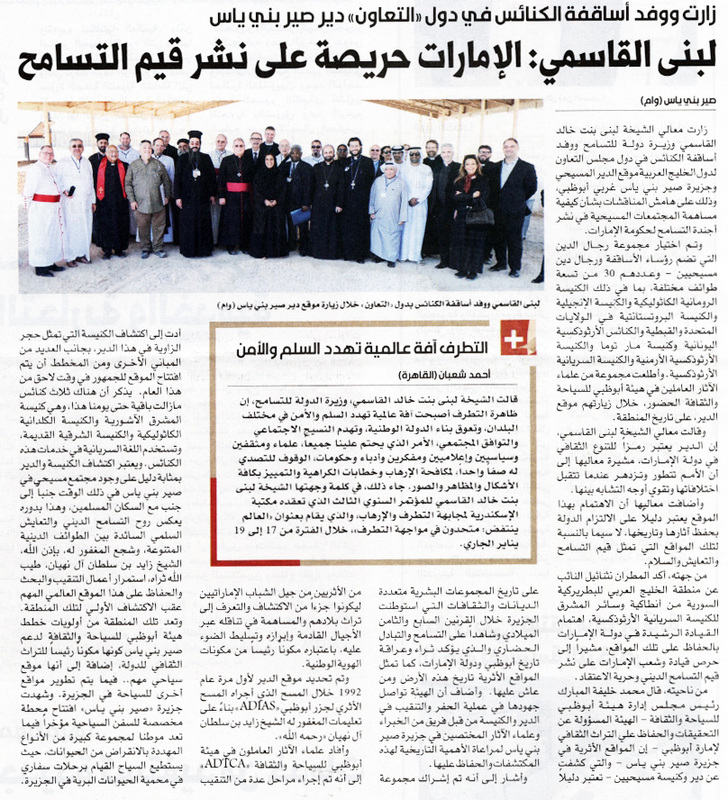 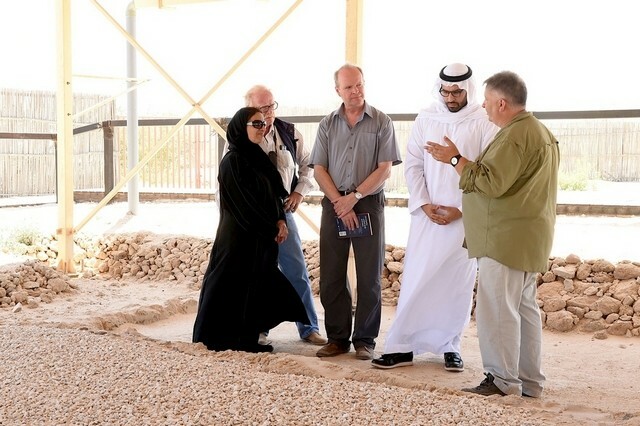 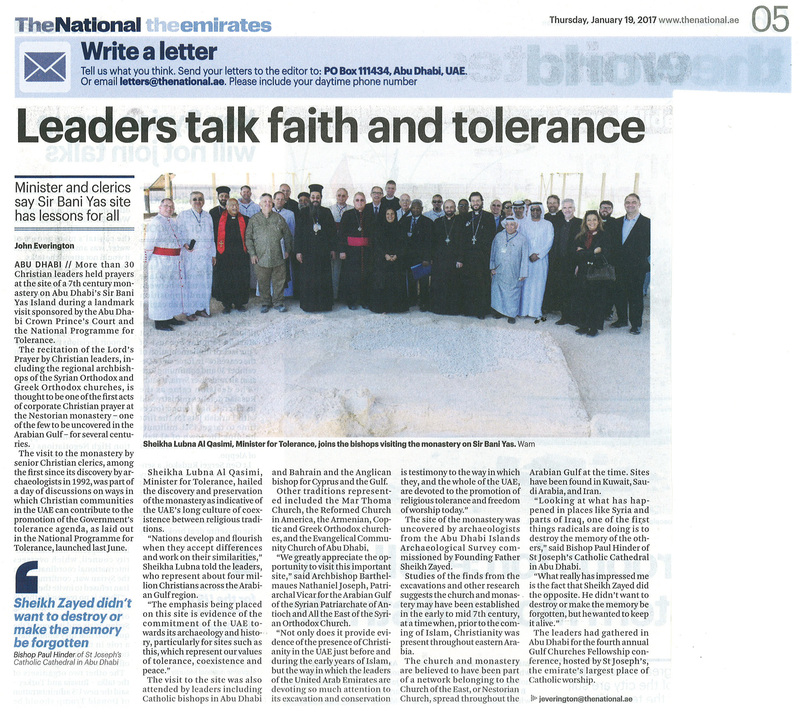 Dr Mark Beech explains the ongoing work at the Sir Bani Yas church and monastery to Sheikha Lubna Al Qasimi (UAE State Minister for Tolerance), Mohammed Khalifa Al Mubarak (Chairman, Abu Dhabi Tourism and Culture Authority), Dr Joseph Elders and Peter Hellyer. 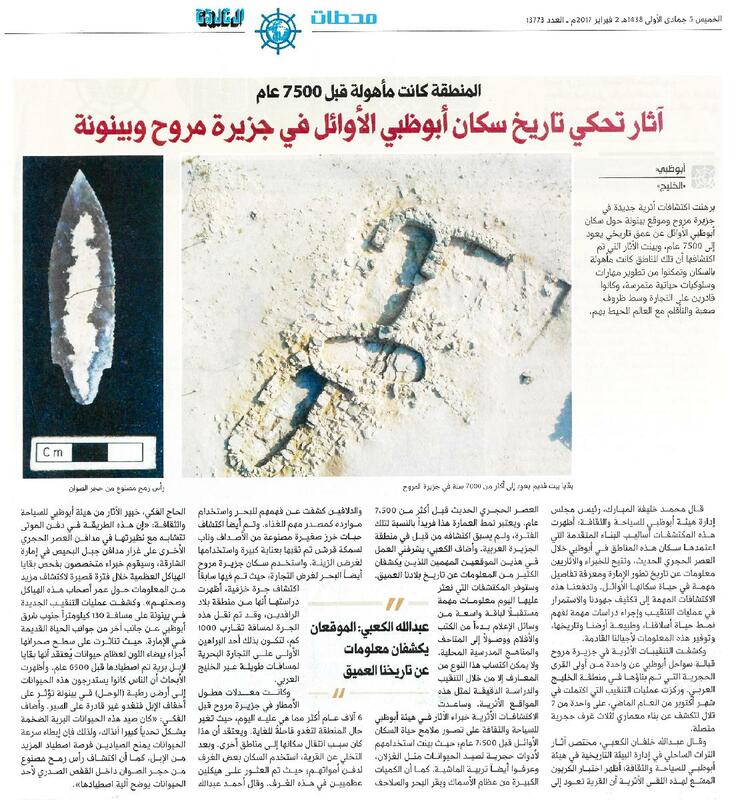 حفريات جديدة في جزيرة مروح تكشف آثار مجتمعات إنسانية ترجع إلى العصر الحجري المتأخر.